The warmer weather has gone for the time being and its a bit chilly in the mornings. I am busy getting ready for The Crafts of Colrain which is this coming weekend, so far the weather looks great for it. It seems that this past month I have been going to Greenfield a lot. Picking up 25# of Oatmeal for the Chickens, several appointments, and I have been parking in a parking lot. 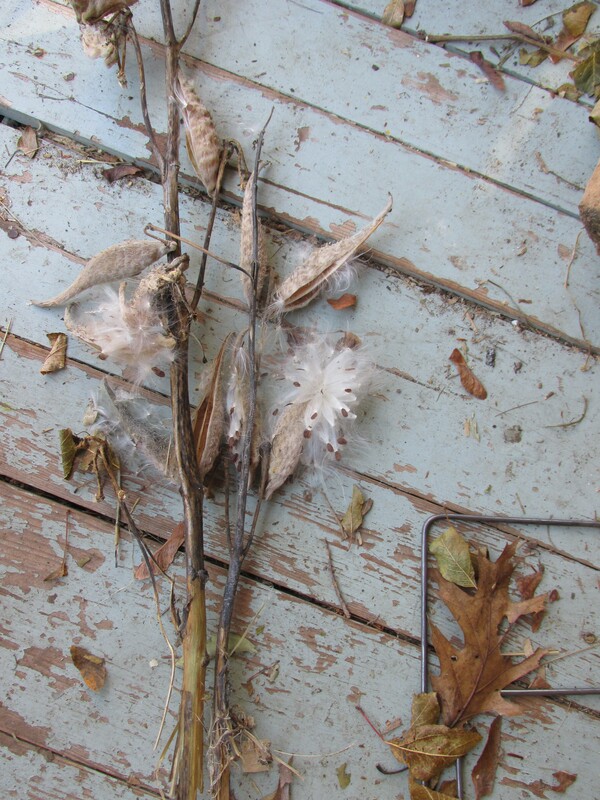 In cracks in the pavement are milkweed ready to send off their seeds. Each time I am in town I pick off a branch and bring it home to spread around my yard. Its a good feeling that hopefully some of these seeds will take and more beautiful Monarch’s will be around. Birthday wishes are popping up everywhere. 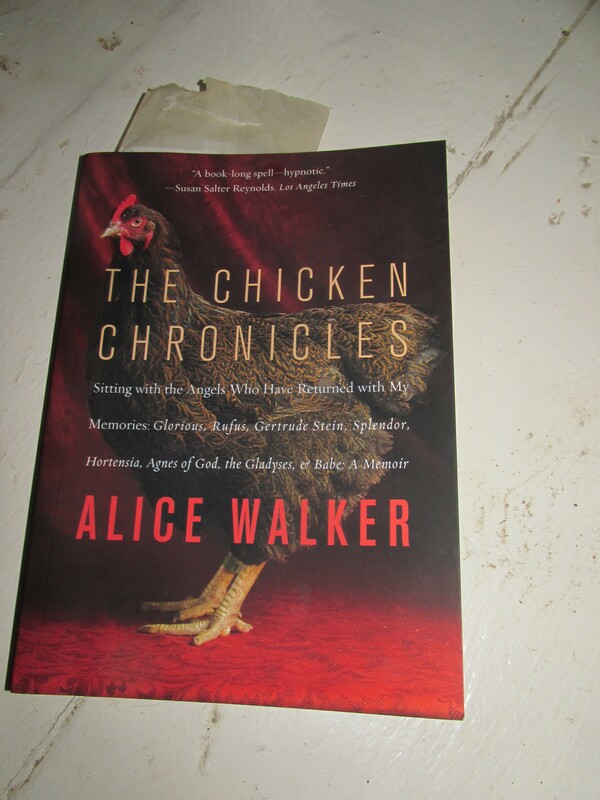 Liz of Sheep and Shawl gave me this wonderful book, The Chicken Chronicles by Alice Walker author of many books including The Color Purple. A wonderful story of life with Chickens. I am thoroughly enjoying it. A surprise box in the mail yesterday from my friend Jan contained a book she though was perfect for me. 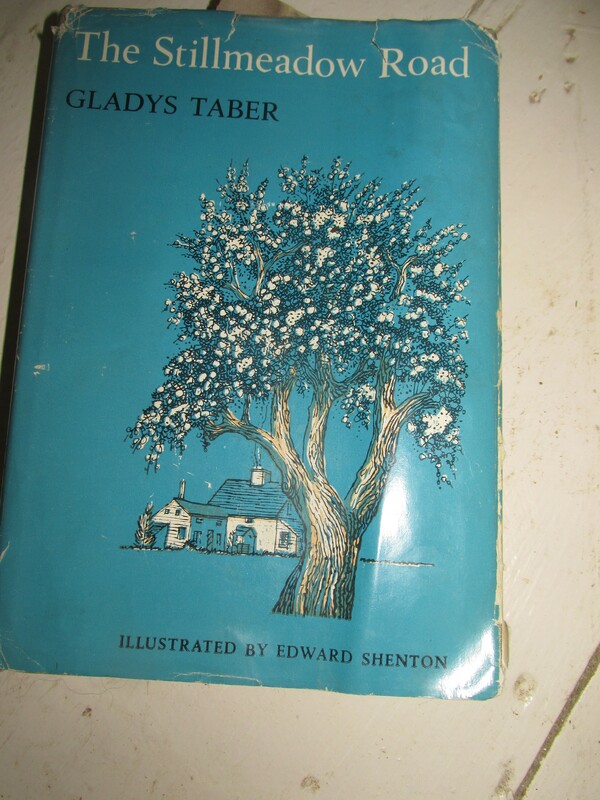 The Stillmeadow Road by Gladys Taber. I have started it and love it. Its about a woman who buys an old farmhouse with blinders on ( sort of like me) and takes you through the fixing up the trails and tribulations of her dogs,cats and gardens. I want to learn more about this author and read some of her other books. 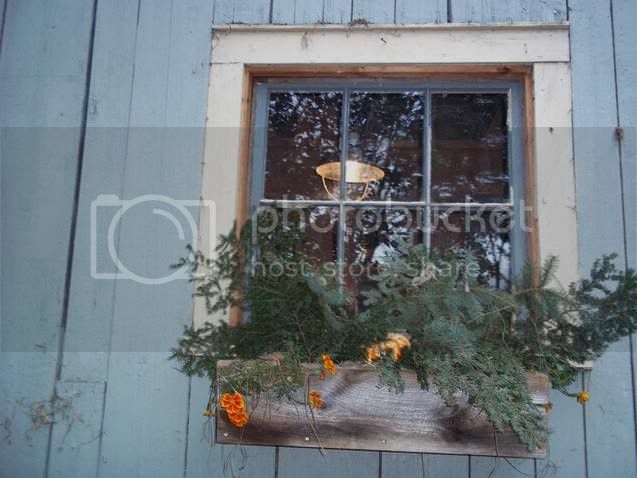 My friend Debbie went on a wonderful trip to Nova Scotia and went to Deanne’s shop. 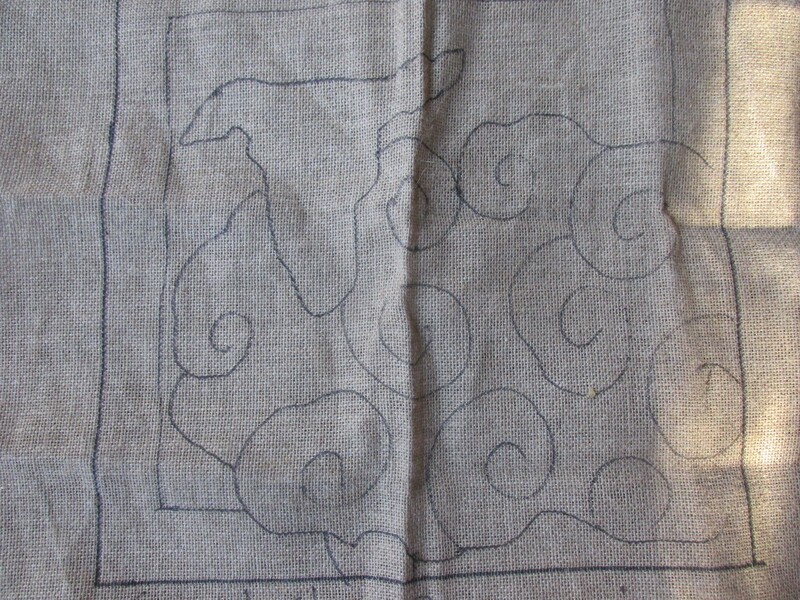 She brought me back this wonderful sheep pattern. I just love it and am now thinking of how I can do it. I can’t start it till after the first of the year by then I hope have it all figured out. Okay so I said I wasn’t going to get anymore sheep. I promise this is the last one. I just couldn’t resist this one. Her name is Annie, which endeared her to me right away. We called my Mom Annie for the last several years of her life. She was in a breeding program to promote better sheep and wool. She is half English Leicester and half Merino. One can only imagine how wonderful her wool will be. She is only 2 which is nice. She will fit in nicely with the girls and offer me some really wonderful wool to turn into yarn in two years time. Here is another sheep that is looking for a home. My friend Lisa, who raises beautiful sheep is downsizing and Sorrel needs to find a home. I wish I could take her but 5 is enough.